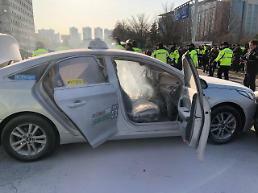 SEOUL -- A majority of South Koreans who once showed an unfavorable attitude to Uber supported a carpool service pushed by Kakao, the country's top message-app operator, that triggered strong protests by taxi drivers, according to a survey published on Monday. In a survey of 500 people, conducted by Realmeter, a Seoul-based pollster, 56 percent said Kakao's car-sharing service would promote the benefits of citizens while 28.7 percent opposed it. 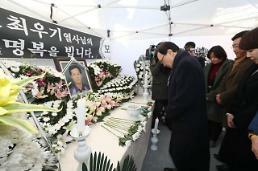 In the province surrounding Seoul, 60.2 percent was in favor. 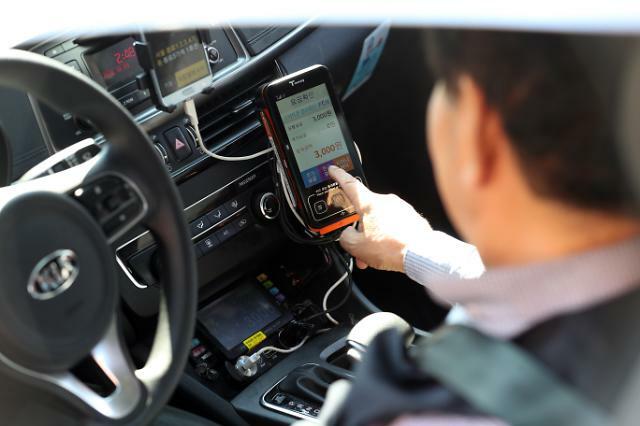 Regulatory hurdles and time limits have hampered the growth of homegrown ride-hailing mobile apps that connect non-taxi vehicles with riders. South Korea allows commercial carpool services just during commute hours, but there are growing demands for expanded services to reflect flexible work hours and diverse lifestyle patterns. Kakao started recruiting drivers last week for its car-sharing service using a smart mobility app, saying it would ease the rush-hour lack of available taxis. Taxi drivers want the government to revise a law which stipulates that the owners of passenger cars can receive money when they provide rides for other people during commuting hours. 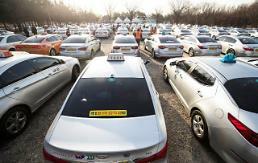 There are about 255,000 taxis in South Korea, and taxi unions have called for government intervention and support, saying they have endured low income, excessive work and poor working conditions for many years. Uber launched a car-sharing service in Seoul in 2013 but suspended it due to strong protests by city officials and taxi drivers.